Ireland finally get their Euro 2016 tournament under way on Monday when they take on Sweden at the Stade de France and both sides will be desperate to start their respective campaigns with a victory. 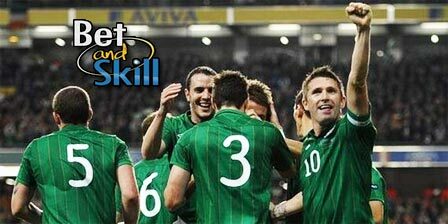 Check out here our IRELAND v SWEDEN betting preview with predictions, betting tips, enhanced odds, lineups, exclusive bonuses and no deposit free bets on Euro 2016. Ireland finished third in their qualifying group with a record of W5 D3 L2 and then saw off Bosnia-Herzegovina in the playoff to qualify for Euro 2016. The men in green are on a three match run without win. O'Neill's men proved in their qualifying group that they’re capable of an upset as they beat Germany. They lost 2-1 to Belarus in their final warm up match and drawn against Netherlands, and Slovakia. Robbie Keane and James McCarthy have been big injury concerns in the lead up to this match while Jonathan Walters and Robbie Brady are struggling for fitness but Martin O’Neill is confident they will both play. Wes Hoolahan is likely to play as offensive mdifield in a 4-3-1-2 formation. O'Neill has a decision to make over who partners John O'Shea in central defence with Shane Duffy's set-piece prowess in the opposition penalty area possibly earning him the nod over Ciaran Clark. Sweden qualify fot this European Championship after seeing off their neighbours Denmark in the playoff to qualify for this event, winning 4-3 over two legs against their Scandinavian rivals. They come into this match on the back of an emphatic 3-0 win against Wales in their final warm-up fixture. Hamren's men are undefeated in 9 of their last 10 matches. Zlatan Ibrahimovic carries Sweden's hopes into this summer's finals, but only a dazzling show from the 34-year-old striker will be to be enough to see them progress to the knockout stage. He scored 11 goals in qualifying including three over Denmark in the play-off. Aside from Ibra, Sweden look an average national team with an average manager. Erik Hamren has no injury concerns after Albin Ekdal has recovered from a cut to his back and he is expected to start with the strongest possible line-up for this important fixture. This means that Marcus Berg and Zlatan Ibrahimovic will lead the line in a 4-4-2 formation. Emil Forsberg is likely to cause problems down Ireland's right flank. Ireland (4-3-2-1): Randolph – Brady, Clark, O’Shea, Coleman – McCarthy, Whelan, Hendrick – Hoolahan – Long, Walters. Sweden (4-4-2): Isaksson – Olsson, Lindelof, Granqvist, Lustig – Forsberg, Ekdal, Kallstrom, Durmaz – Berg, Ibrahimovic. 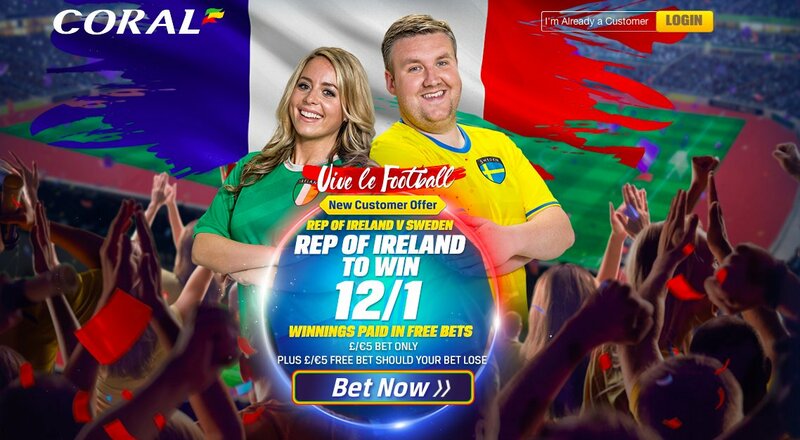 "Ireland v Sweden predictions, betting tips, odds and lineups (Euro 2016 - Group E - 13.6.2016)"